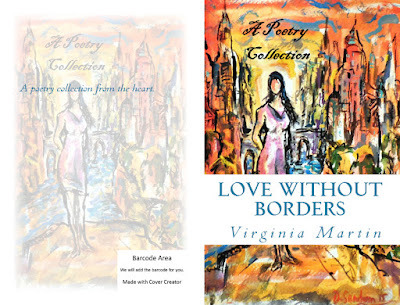 My upcoming poetry book, Love Without Borders, Book Three in the Without Borders Inspirational Series, is a collection of inspirational poetry scheduled to be published this month. The cover art is by award winning author, David Sandum, and the foreword was written by my friend, supporter and mentor, Pastor Johnie Butler. It has been a journey to put this book together, as I have a compilation of poetry from different stages of my life. As an added bonus, I have included a very special section of poems by family and friends, some of them first time authors with this publication. May this poetry book touch, bless, encourage, and inspire you in many ways.